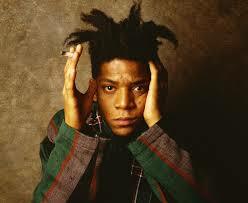 As an art history student, Jean-Michel Basquiat spoke to me on a very cerebral level. He was (and is) art in its rawest form since perhaps the action paintings of Jackson Pollock, with half the amount of time lived, and probably a quarter (or none) of the experiences of Pollock. Basquiat’s death at 27 (yet another addition to the 27 Club) was tragic in more ways than one, but perhaps the greatest loss from an academic perspective is the loss of such a natural talent and artistic genius. It makes sense for Basquiat to command so much of my attention; I studied art history in college and find something calming about it. But what’s so intriguing to me is that prevalence of Basquiat’s work in the tech community, something I’m beginning to see more and more. 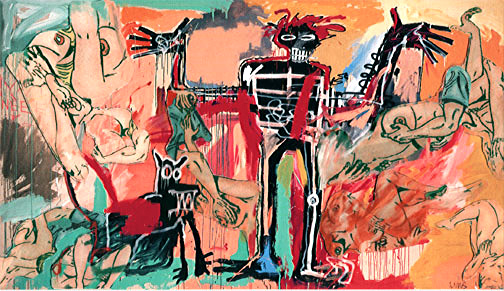 I’ve seen Basquiat paintings retweeted and made as backgrounds, and have come to question just how much Basquiat’s work connects with those outside the art community. Certainly works by one of his contemporaries, Keith Haring, are popular in society today. They grace shirts, backpacks and the sides of water-bottles. But comparatively, Haring’s work is understandably more mainstream-acceptable: there’s a unique sense of balance in it that appeals to the human emotion. As far as graffiti art goes, to the mainstream mind, it appears as doodles, almost child-like in its composure. 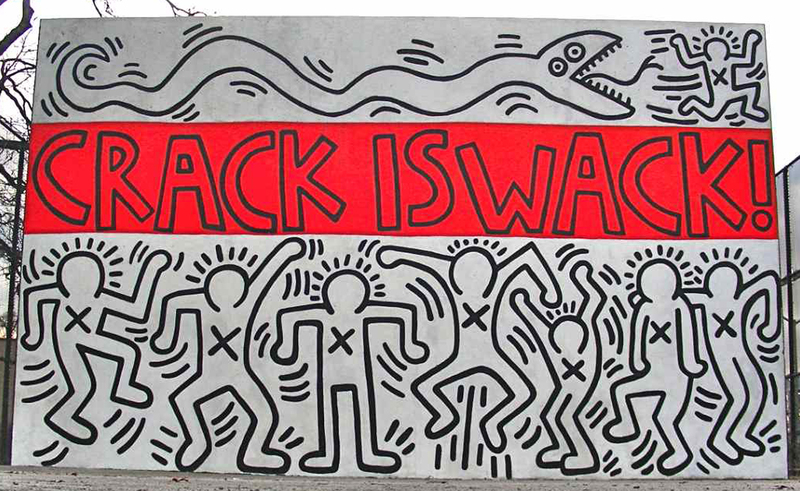 And that’s exactly the way Haring wanted it–that was his style. Basquit’s style, though, presents more of a bitter pill for a mainstream audience to swallow. It’s wild, rude, crass, raw, racial, emblematic, poetic, nonsensical, grungy, sloppy, brilliant. It’s not a pretty picture, nor a balanced composition, and thus presents the audience with an almost reversible set of emotions. It is at once both obsessive and nonchalant, as if Basquiat cares so much up until a certain point, then doesn’t at all beyond that. (More of the deep artistic undercurrents of Basquiat’s work later). And through all this artistic rage and raw power, I’m intrigued by what I perceive of the minds of some in the tech community (though this, admittedly, is based on my own experience). Perhaps it makes sense that an industry and community so centered around creation would find such a riveting painter fascinating. Certainly it can be said that a good many within the tech sphere are driven by the desire to create and view the world from a continually evolving perspective. Would this, then, explain why I’ve seen Jean-Michel’s work pop up more than a few times in this intriguing community of tech enthusiasts? More research is necessary to find out. This entry was posted in Art, Graffiti, Painting, Tech and tagged Art, Basquiat, Graffiti, Haring, Painting, Tech by adammarx13. Bookmark the permalink.